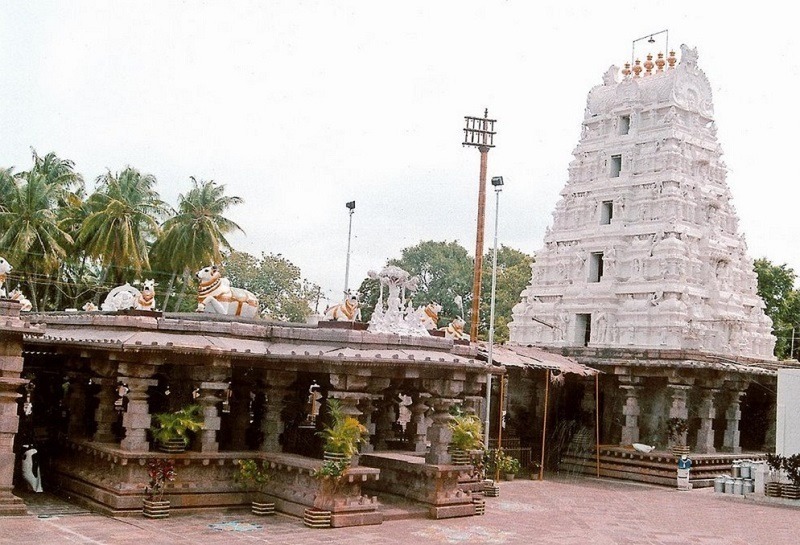 Sri Suryanarayana Swamy temple is the very famous and well known pilgrimage in East Godavari District, Andhra Pradesh, India. Lord Surya is the supreme deity in this temple. 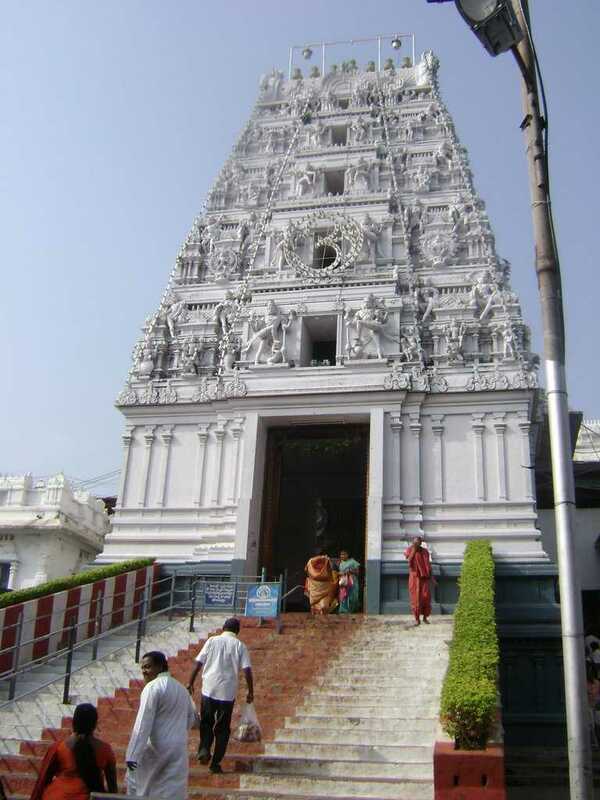 This temple has astablished by Sri Kovvuri Basivi reddy in the year 1920. He was the jamindar of G.mamidada. He had dedicated his life for welfare of the society. This temple has own 16 acres land, which has donated by founder of this temple. 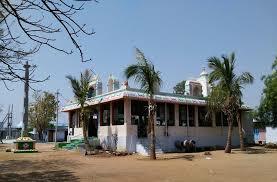 This is the second famous lord surya temple after arasavilli, srikakulam. As per the Saivagama (Holy Scripture) everyday archanas performs. Abhishekam does regularly in this temple. People are coming from different places of East Godavari district for worship and fulfill their wishes. This temple attracts too many pilgrims, especially in Sundays for praise to the Sri Surya Narayan Swamy. Apart of this temple, there are many pilgrimages in G. Mamidada. 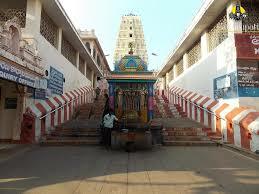 Lord Venkateswar Swamy temple,Lord Bheemeswar Swamy temple and Sri Kodanda Rama temple. Lord Rama is the supreme deity in this temple. 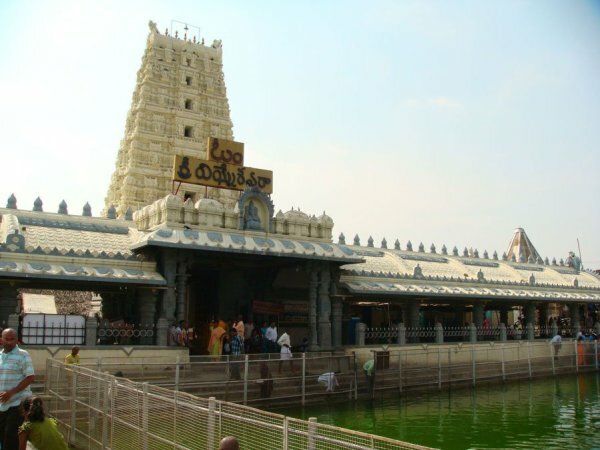 This temple has known as second Bhadrachalam in Andhra Pradesh. 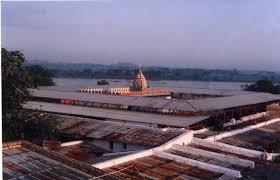 Sri Kodanda Rama has situated in nearby Tulya Bhaga River. 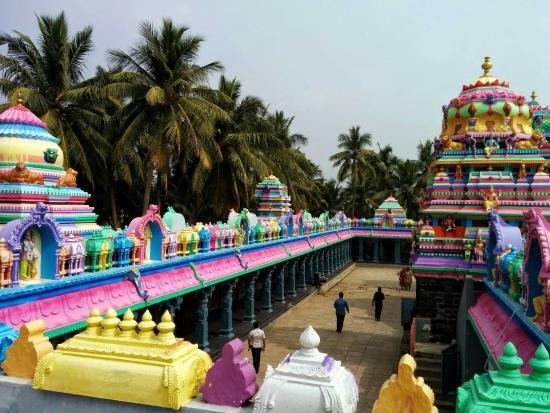 This temple has established by Dwarampudi Subbi Reddy and Rami Reddy in 5 acres land in the year 1889 with Lord Rama and Devi Sita wooden idols. 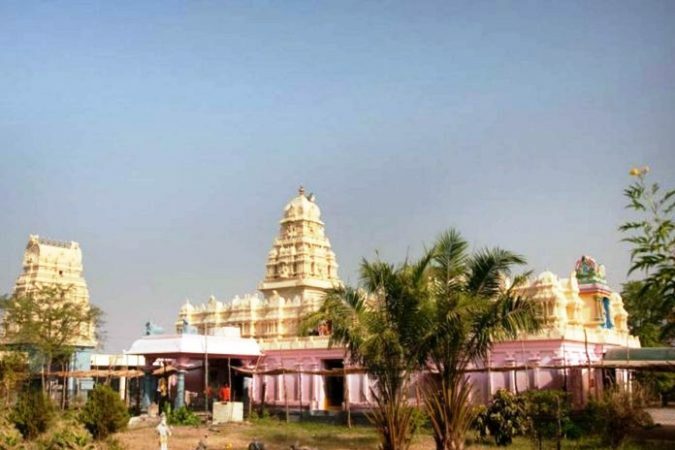 After a long time, Sri Kodanda Rama temple has re-established in the year 1934, then Lord Rama, Devi Sita and Lord Laxman's idols sanctified in this temple. 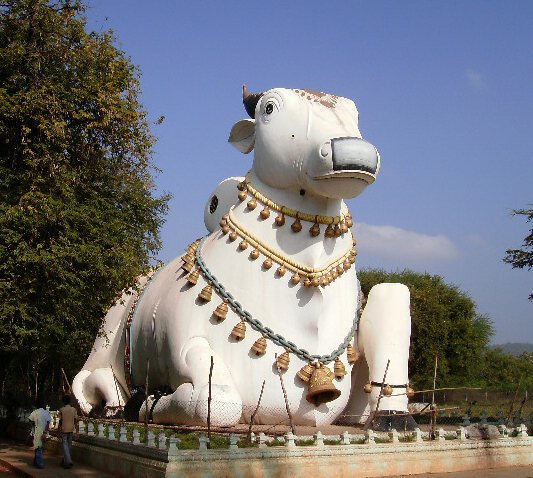 The Lord Anjaneya idol has sanctified in 1967. 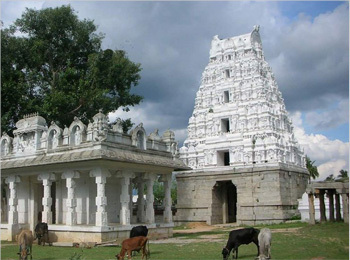 There are two gopurams (towers) in this temple; East Gopuram and west Gopuram. 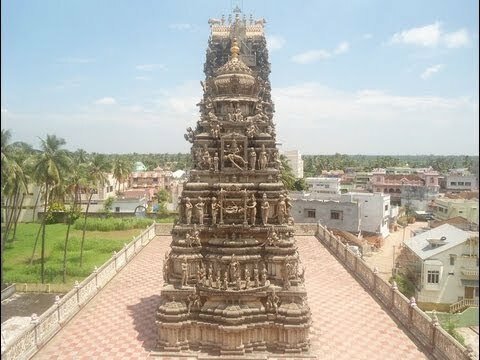 East Gopuram has made in 1948, this Gopuram is 160 feet height with 9 stories and 5 kalasams. The west Gopuram has made in 1956, and this Gopuram height is around 210 feet with 11 stories and 5 kalasams. 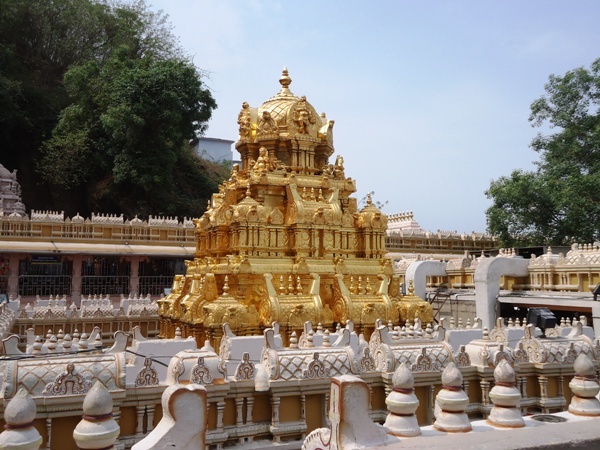 These Gopurams architectural works is very elegant. The main stages of Ramayana, Mahabharata and Bhagabatha are made on these Gopurams. The main unique parts of the temple is one can go the last storey of the Gopuarams. 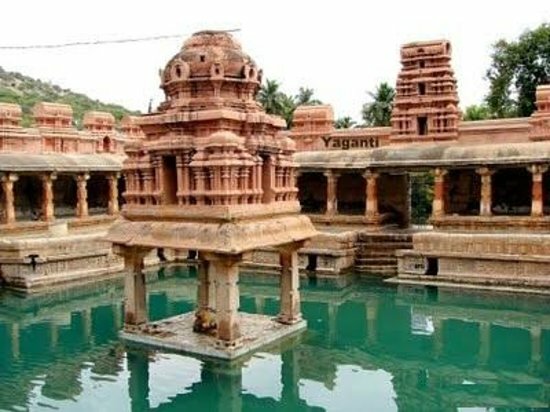 In 1975 near to west Gopuram, the area between of pushpaka mandapam and Madhya mandapam, the Addala mandapam has made, which is architected by full mirror inside. 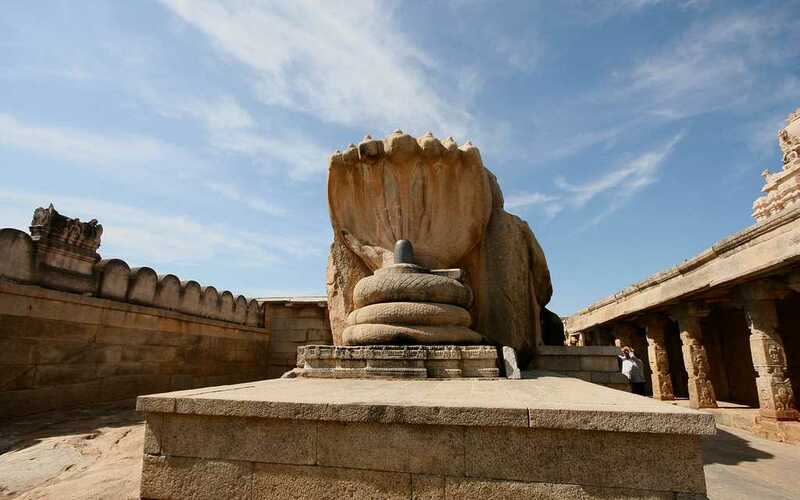 This mandapam is around 120 feet height. There can see the different stages of Ramayana, Sri Chakra Talwar (shade) sahita Utsava moorthis (statue). Apart from these God idols, there are some other idols like Sri Bala Gajanan Swamy, Sri Dasanjaneya Swamy in this temple. 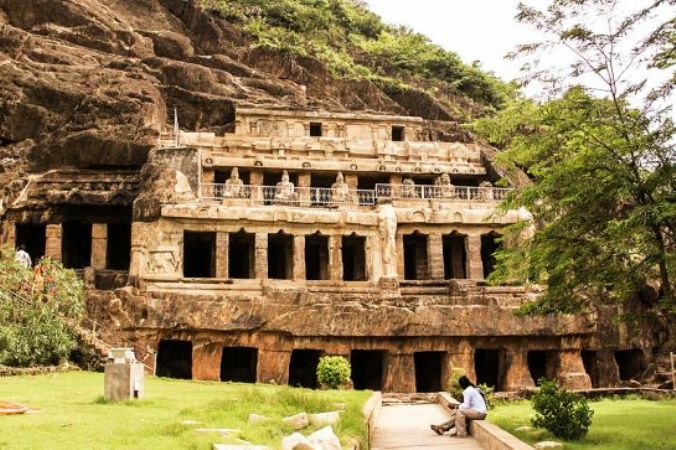 By road:: G.mamidada is 21 km distance from Kakinada, 66 km from Amalapuram, 48 km from Rajahmundry, 186 km from Vijayawada, 170 km from Visakhapatnam and 459 km from Hyderabad. APSRTC buses are available from all major places of Andhra Pradesh. By Rail:: Nearest railway station is Kakinada, which is 21 km distance from G.mamidada and another major railway station is Rajahmundry, which is 48 km distance from G.mamidada. By Rail::Nearest Airport is Rajahmundry, which is 48 km distance from G.mamidada. Amenities are provided to the pilgrims visiting temple. Sri Rama vratam performed in every Thursday and Sunday. Tamalapaku arcahanam and sindoora archanam performed for Dasanjaneya. 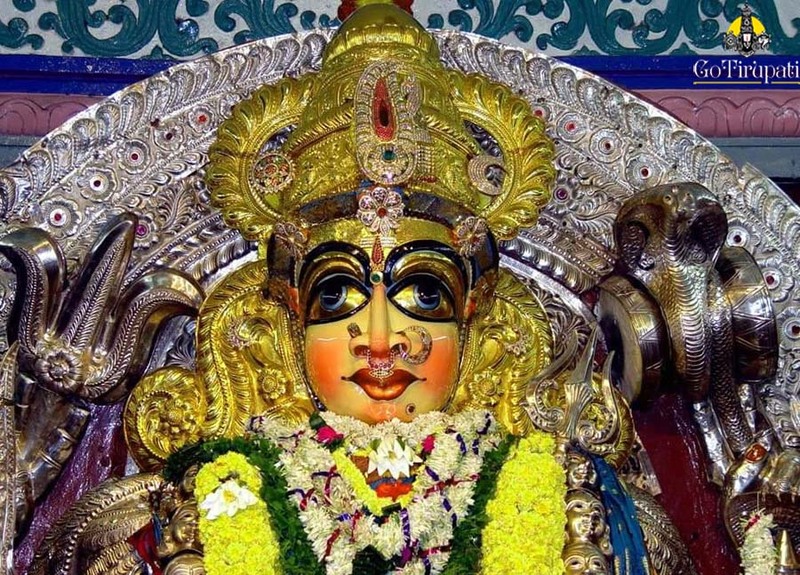 Special pujas performed in Dhanurmasam, Sravana Masam and Kartika Masam. Sri Sitarama kalyana utsavam performed on Sri Rama Navami. Vasanth utsavam performed in Chaitra masam. Special pujas performed for Dasanjaneya on Hanuman jayanti. 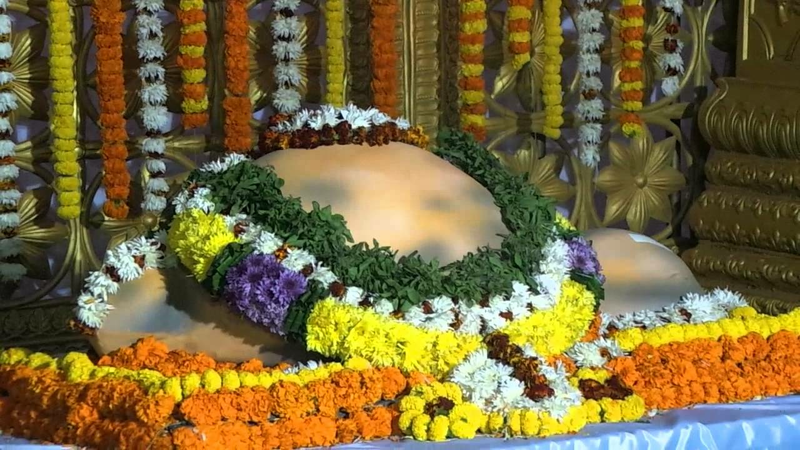 Radha Sapthami on Maga Sudda Sapthami (February Month).